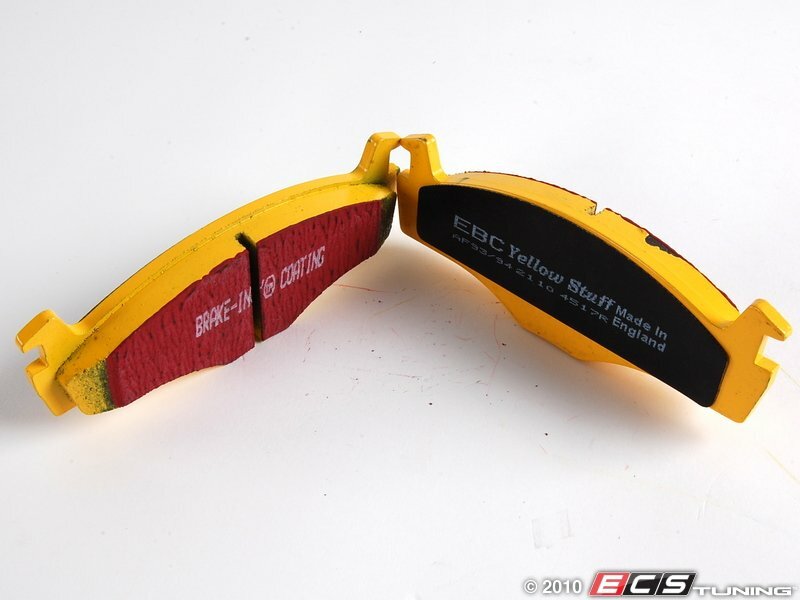 Primarily a performance pad for track and street use, EBC Yellowstuff pads have cold braking characteristics similar to original pads, with significant improvement when hot, including reduced fade during repeated hard braking. These pads bed quickly, and should be considered a good street upgrade over stock friction materials, with dusting similar to OEM. 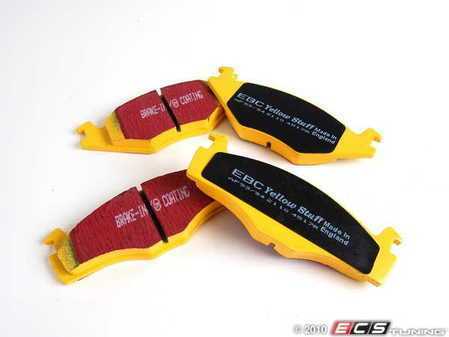 Those who want low dusting should choose Redstuff pads.